Get involved in the community! 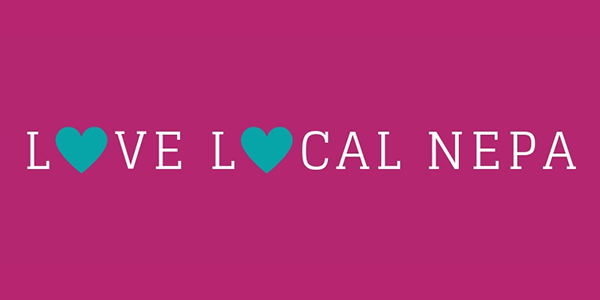 Stay in the know with what’s going on in the area through Love Local NEPA! Email Laura G at lovelocalnepa@97bht.com if you’re apart of a local charity or non-profit that has an upcoming event and we will add it to our list! The circus is in town! The Irem Shrine Circus is back at the Kingston Armory, offering entertainment from April 22th until the 26th! Don’t forget to head out to the Forty Fort Recreation Complex April 27th for the annual Autism Awareness 5k run, walk and wellness fair! The run kicks off just after 9am, with the fair and other activates running until noon. A Model Train show and sale will be held at the Hawley Fire Dept. April 29th from 9-3. Kids 12 and under get in free, regular admission is $3. Autism Awareness 5K Run & Walk on May 4th with basket raffles, free picnic, bounce houses and activities for children at Nay Aug Park in Scranton. Hosted by The Parents Loving Children Through Autism Foundation (PLCTA). A spaghetti dinner will be held at the Central United Methodist Church Saturday, May 4th from 4-7. Dine in or take out available. Tickets cost $8 for adults and $4 for kids. Junior Leadership Wilkes-Barre will have “Paws in the Park” Family Fun Day on May 4th. The event kicks off at noon in Kirby Park and will offer everything from Disney Princesses to food, music and – of course – PUPPIES! You can also enter a pet in a trick or costume contest! The event is free to attend. Grab some pasta and help a baby fighting Leukemia! The dinner will be held May 5th to aid Jack Callahan – a one-year-old fighting Leukemia – at Sibio’s Resturant in Dunmore. The event will include the dinner, as well as raffles, games, shirts, prizes and more! Tickets cost $12, with eat in or take out options available. Call 344-6724 for more info. Candy’s Place will hold its annual Walk on May 18th. This year’s 2-mile trek will start at the wellness center in Forty-Fort and go around the surrounding area. Guests can tour the center, shop vendors, play games and more! To register or get involved visit Candy’s Place on Facebook. Tracey’s Hope will have a Designer Purse Bingo on May 19th at the Eagle McClure Firehouse in Old Forge. The event offers food and drink, basket raffles, 50/50’s, door prizes and specialty games with prizes from trips to a Louis Vuitton bag! Tickets cost $20 and include 20 games. The LIU#18’s Behavioral Health team will be conducting a fundraiser on June 6th at Sabatini’s Bottle Shop in Exeter from 6-9PM. This fundraiser is to help cover the cost of any additional expenses the School-Based Teams may incur. Some of these expenses may include transportation to and from summer programs, activities for the children, etc. We are currently seeking volunteers to help provide musical entertainment as well as raffle baskets. Any donations would be appreciated!